Of all the parts of creation that God gave us dominion over, time continues to remain the most elusive. A calendar is one of the universal building blocks of all religions. For any new religion to succeed or ancient religion to endure it must prove its ability to have dominion over time. The prospect of an endless and meaningless succession of days, years, and centuries, is unsupportable for human beings, to say nothing of religious communities. Calendars are like maps placing an individual and a community firmly in a flow of time that began with the Creation and will end with the Millennium. In late December and January, during my academic break, I traveled to Thailand. What could have been a pleasant month of travel, beach, wine, dancing, food, and fun turned into a research-filled period. My research was stimulated on the first day in Bangkok when the man at the front desk prepared the receipt for my $7 a night room. He took out his book of receipts, filled in the sum in Thai Baht, misspelled my name, stamped it, and handed it to me. I stuffed it into my pocket and went to my room where I crashed on my hard bed and slept the entire day. It was only later that evening as I was writing my daily journal entry that I glanced at the receipt. I took out glue stick, covered the back of the receipt with glue and attached it to the page. Only then did I notice that he had miswritten the date: the month “12” and day “30” were correct, but in place of 2016 he had simply written “60.” I thought he had simply made a mistake and wrote “60” instead of “16” and thought no more of it. But this strange date stuck in my mind. I had to find out what “60” meant. 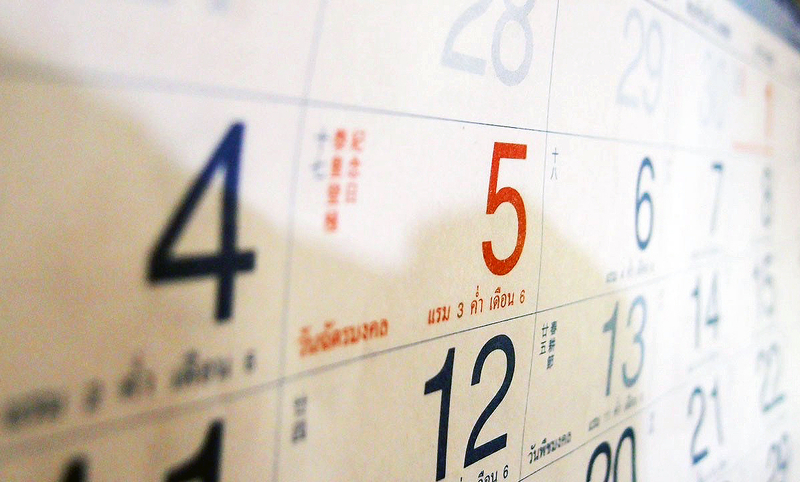 My second encounter with the wild world of Thai calendars was by accident. Having checked into my hotel, I set off to explore the neighborhood. I strolled up a major road and stopped in the middle of an elegant bridge spanning one of the many canals that crisscrossed the city giving it the name “The Venice of the East.” I glanced at the elegant Thai script that announced I was on the Mahatthai Uthit Bridge and noticed the year of construction was 2457. Puzzled, I checked my handy travel guide and read it was constructed in 1914.